These pseudoscience pushing nutjobs even have their own “peer-reviewed journals” (by peer-reviewed, we mean other homeopaths reviewing each other for the quality of their pseudoscience), one of which describes a dilution with a ground up crustacean. Seriously, these people live in a world that somehow passed over the last 200 years of real science. Medieval alchemists have more credibility. But let’s back up a bit, and explain the “science” of homeopathy, because a lot of people, mostly Americans, conflate homeopathy with natural medicine, like herbal medicine. It isn’t. Basically, homeopathy, known as the “law of similars”, relies on belief that “let like be cured by like”, and is a term coined by Samuel Hahnemann, a German physician who was appalled by the state of medicine at the time, the late 1700’s. And frankly, the state of medicine at that time was pretty bad, so any new idea might have been worthy of trying. However, when Hanneman was alive, basic scientific knowledge was missing. Cell theory and germ theory were a few decades from even a basic understanding. Homeopathic potions are prepared by serially diluting the original substance (could be anything from diseased tissue to arsenic to snake venom plus mercury) with shaking by forceful striking on an elastic body, which they term succussion. Each dilution followed by succussion is assumed to increase the effectiveness. Homeopaths call this process potentization. So far, it’s just merely diluting and shaking, so nothing much there. But the level of dilution is such that there is only a tiny possibility of any molecule of the original substance showing up in solution. The dilution is precisely described by Hahnemann. The first dilution is one part to 100 parts water. Then, one part of that is diluted in another 100 parts water. Each dilution is called 1C, so two dilutions would be called 2C, with one part of the similar diluted in 10,000 parts water. But it doesn’t stop there. 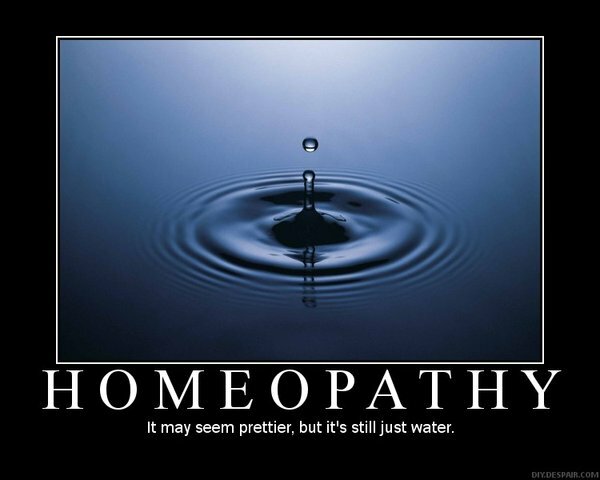 Homeopathy uses >30C dilutions, which means that the dilution is simply water. At 30C, the dilution is now 1 part substance to 10^60 (or 10 followed by 60 zeroes) parts water. You would need to drink 10^34 (or 10 followed by 34 zeroes) gallons of water (which is about 10 billion times the amount of water on earth) just to get one molecule–one single molecule of the original substance. Now diluting substances to create a physiological response is a well known, evidence based method in medicine. For example, allergy hyposensitization uses extremely diluted antigens (say cat dander), while slowly increasing the concentration to build a tolerance to the immune response. But the dilution is substantially higher, maybe 1-2C at most. I’ve noticed Homeopaths without Borders aren’t lining up to treat the Ebola outbreak.. I haven’t mocked Homeopaths without Borders in a year. Homeopaths without Borders (HWB) is an American organization that claims that it provides humanitarian aid, in the form of homeopathic “medicine”, to devastated areas of the world. Of course, HWB is attempting to co-opt the name of the more famous group that does real lifesaving work across the world, Doctors without Borders, who are probably too busy, utilizing real evidence-based medicine with real medications, risking their own lives, and performing great service to humanity, to be worried that a bunch of pseudoscientific homeopaths stole their noble trademark to push quackery. HWB has sent their water magicians to Haiti, Guatemala, Dominican Republic, Sri Lanka, and El Salvador, all countries that have suffered so much during the past few years. During their time in Haiti, “the team will be in Port-au-Prince to complete the final session of the Fundamentals Program—a foundational curriculum in homeopathic therapeutics incorporating theoretical and clinical training.” So not only are they providing nonsense, useless, unscientific healthcare to Haiti, they are training new homeopaths there. Haiti needs to train real doctors who use science based medicine, not quack medicine. Setting aside all of my snark and all of my outrage at the homeopaths, real physicians are putting themselves at the frontline of battling this disease. A real doctor and a real nurse from the USA have contracted the disease, and they are getting the best treatment possible by the world class physicians and researchers at the CDC. (They did try an experimental method to treat the disease, but the results are unknown.) The actual Doctors without Borders (better known outside of the USA as Médecins Sans Frontières) is battling the outbreak with real medical facilities and real physicians. MSF, the CDC and WHO have their best and brightest researchers, physicians, and other health care workers standing at the frontline of this disease. They are risking their lives through sheer bravery, no different than a soldier going into a battle. 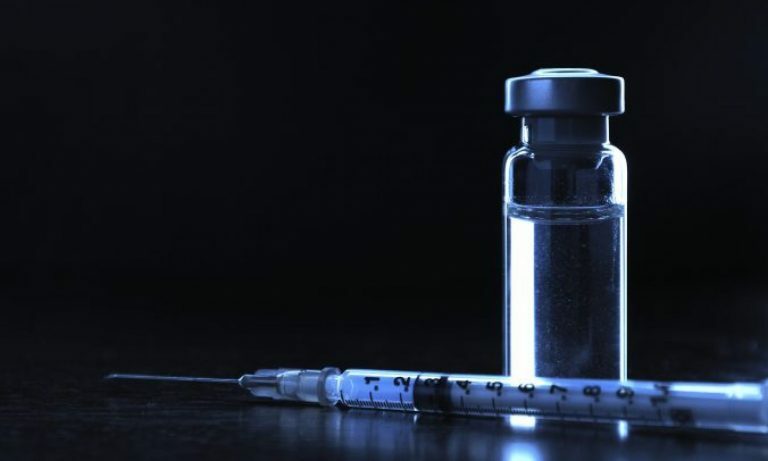 When I hear some pseudoscience-pushing lunatic (sorry, I can’t help being snarky) say that the CDC is bought off by Big Pharma or some nefarious Jewish conspiracy (no, I’m not making that up), I’d like to see them go off to West Africa and try to save lives right in the middle of an epidemic of a deadly disease. Where are those homeopaths? Oh, they’re actually just cowards, spending their days trying to take money from saps who believe in their lies. Homeopaths aren’t going to risk their lives for free. Actually, it’s probably good that the woo-pushers aren’t there. They’d just get in the way, end up getting sick, and a real doctor will have to try to save their lives. 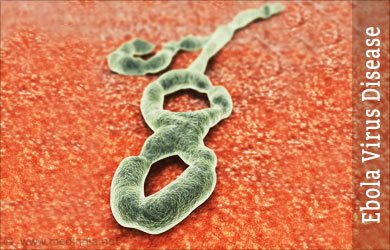 Marzi A, Feldmann H. Ebola virus vaccines: an overview of current approaches. Expert Rev Vaccines. 2014 Apr;13(4):521-31. doi: 10.1586/14760584.2014.885841. Epub 2014 Feb 27. PubMed PMID: 24575870. Richardson-Boedler C. Sicarius (six-eyed crab spider): a homeopathic treatment for Ebola haemorrhagic fever and disseminated intravascular coagulation? Br Homeopath J. 1999 Jan;88(1):24-7. Review. PubMed PMID: 10228601.